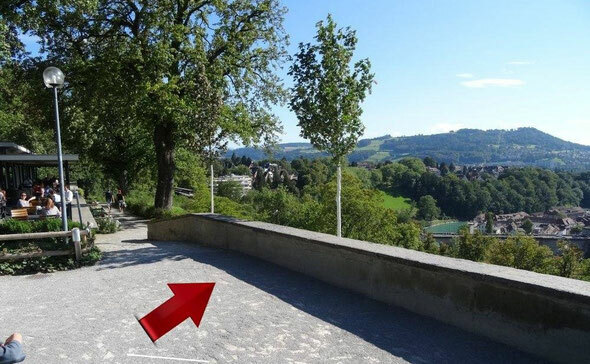 Meeting point for tour 1 - freewalkingtoursberns Webseite! Scroll down for the meeting point of tour 2! We meet at Rosengarten at the viewpoint next to the Restaurant. From the main station take bus 10 (Ostermundigen Rüti) and leave at "Rosengarten". The tour will end in the city center close to the main station. 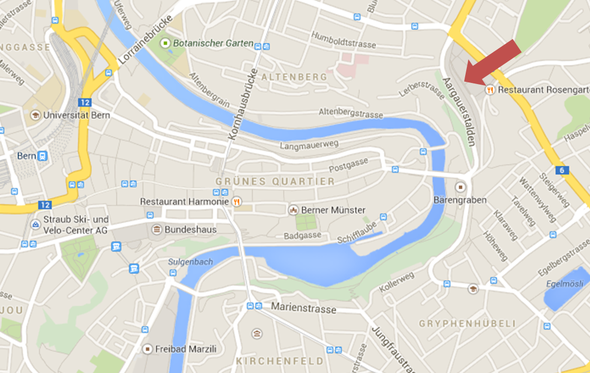 We meet opposite the Loebeggen in front of the UBS (address: Bubenbergplatz 3). At the moment, they renovate the building, so at the moment you can't see the building because of a scaffold. Take a tram/bus/train or walk to the railwaystation. If you are standing under the baldachin you see the department store "Loeb". Vis-à-vis you find the UBS and that's where we meet.